The Jefferson statue, which has also been subjected to acts of vandalism in the past, stands in front of the university’s student center — a location that some students have expressed frustration over, stating “it is unfortunate” that so many students and families “take photos and share hugs and smiles” in the presence of the Jefferson statue. Additionally, the event included demands for the university to train its staff on how to better interact with students, as several individuals went up to the podium to deliver their remarks detailing personal experiences with professors who make comments that the students have deemed unacceptable. The student added that she had also been frustrated with the professor’s response to her. “He went on later to — just, pretty much invalidate everything that I said, like, what my experiences were, and just, told me that I was victimizing myself,” said the concerned student. The petition also states that “Jefferson’s values aided in the construction of institutionalized racism and justified the subjugation of black people in the United States,” adding that commentators in “white supremacist chat rooms” have also embraced the founding father. The university responded to the students’ demands by informing them that the statue wasn’t going anywhere. 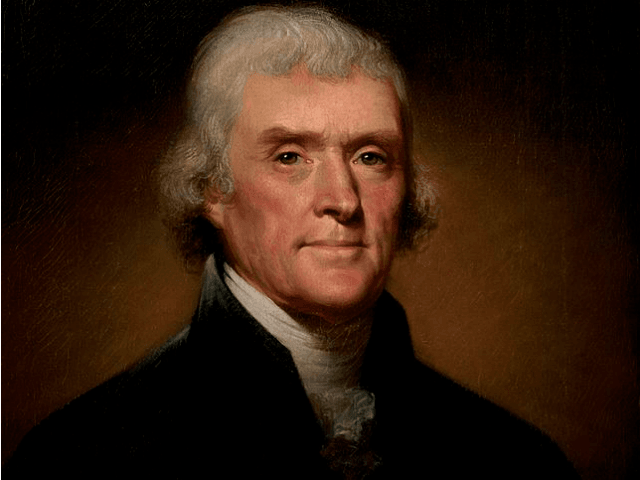 “I have decided that the Thomas Jefferson statue will remain where it is,” said University President Stuart Rabinowitz in a statement last May. “On the one hand, Thomas Jefferson articulated the best of our ideals in the Declaration of Independence and was a defender of freedom in helping to create a new nation: the United States of America,” continued Rabinowitz in his statement, elaborating on why he made the decision to keep the Jefferson statue. “And still, today, the founding fathers represent the duality of the American character and the difficulty of our history: freedom and oppression, equality and injustice, in issues of race, gender, religion and origin, that we have dealt with since our founding and will deal with for years to come,” continued the university president.